Like an explorer of beauty, JK spent several years researching the best traditional products. At the heart of the markets in remote villages ... She smelled, touched, tested each oil, each essence, each fower, each mineral extracted. Alongside women, she learned to reproduce ancient gestures that shape the timeless beauties. 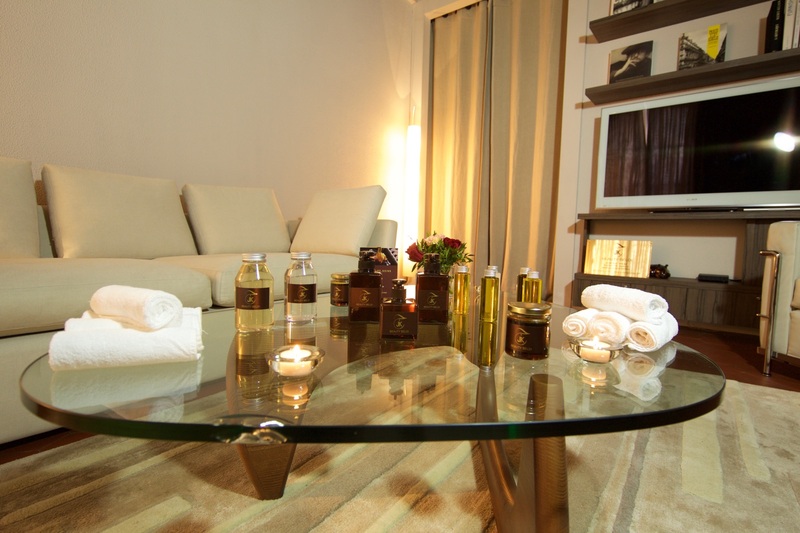 Today, it is through Morocco that Jamela Kirri goes on the hunt of the valuable components which serve to prepare its exclusive beauty treatments to offer a formal authentic beauty. 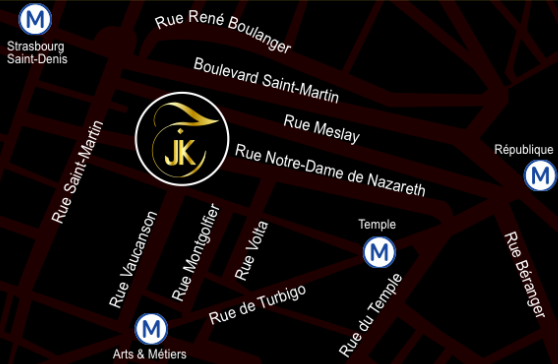 Discover our cares in a unique district area in the very heart of Paris. Make an appointment by sending us an email with the scheduled time by clicking on the button. Jamela will answer you as soon as possible. 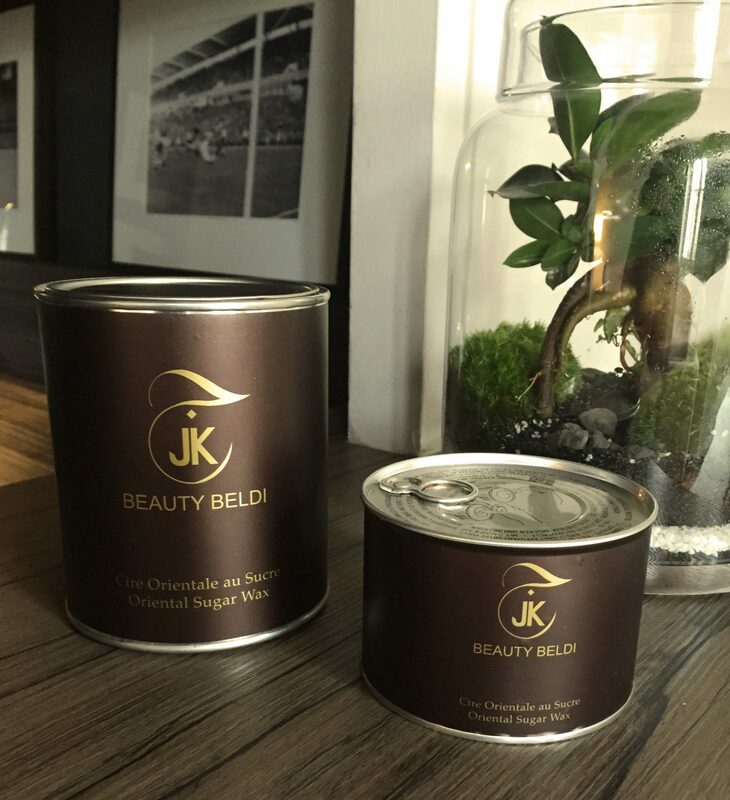 Discover the lifestyle collection of the JK Beauty Beldi range. pouches and all other products of the JK BEAUTY BELDI brand. The sale is deemed as established on the date of acceptance of the order by the Seller. as specified in article L. 441-6 of the Code of Commerce. expressly accepted by the Seller. article, or for an amount of less than 500 euros. shipment of the products and transport of them from the factory to the location of delivery. Starting from this date, all orders are deemed as firm and definitive. order and approved by the seller in its order confirmation. Seller and having the consequence of delaying delivery. with its obligations towards the seller. formal notice, in application of the provisions of article 1657 of the Civil Code. sold, after they have been delivered. the products ordered and that there are no apparent defects. the provisions of article 1642 of the Civil Code. the products delivered with new products that correspond identically to the order. are those mentioned in the price catalogue on the day of order placement. As of this date, these prices are firm and definitive. They are expressed in legal currency, excluding taxes and excluding charges for delivery. shipment of the merchandise, net and without deposit by bill of exchange. in any manner without the prior written approval from the Seller. the end of execution of the services. Late penalties will be payable without the necessity of a reminder. ty for collection in the amount of 40 euros. by those which date back the furthest. shipments, and results in the right to terminate the contractual relationship. will be sent on the same day to the Buyer. The invoice will mention the information specified in article L. 441-3 of the Code of Commerce. The products are sold under retention of ownership. products and cancel the sale, as indicated above. Until this date, the clause of retention of ownership retains its full force. the products by the Seller. 1641 of the Civil Code. The present terms and conditions of sale shall be governed by French law. the exclusive jurisdiction of the Commerce Court of Paris. The Seller elects domicile as 53 Rue Notre Dame de Nazareth 75003 Paris – France. Home fragrances, candles, Fouta bath towels, bath robes, ponchos, vanity cases, pouches and all other products of the JK BEAUTY BELDI brand. Prior to this date, the present terms and conditions of sale were made available to the Buyer, as specified in article L. 441-6 of the Code of Commerce. Any order is deemed as adherence, without reserve, to the present terms and conditions of sale, which prevail over all other terms and conditions, except those which have been expressly accepted by the Seller. To be acknowledged, all orders must be placed in writing or sent by fax or email to the principal warehouse of the Seller located at 53 Rue Notre Dame de Nazareth 75003 Paris – France. The Seller is not required to honour any order involving a quantity of less than 10 units per article, or for an amount of less than 500 euros. Acceptance of the order by the Seller results from payment of a deposit of 50 % of the order amount. Any order may be cancelled by the Buyer in writing or modified in its content, until the time of shipment of the products and transport of them from the factory to the location of delivery. The delivery timeframes are only imperative if they are mentioned as such in the order and approved by the seller in its order confirmation. The risks related to the goods ordered are the responsibility of the Buyer from the time of said delivery. Furthermore, the timeframe is suspended by any event which is beyond the control of the Seller and having the consequence of delaying delivery. In any event, delivery within the stated timeframe may only occur if the Buyer is up-to-date with its obligations towards the seller. The Buyer will take delivery of the products ordered at the principal warehouse of the Seller, within a period of 10 days following receipt of the notice of availability sent by the Seller once the products are delivered. Beyond this deadline, the Seller will be able to cancel the sale, if it so desires, without prior formal notice, in application of the provisions of article 1657 of the Civil Code. The Buyer will be responsible for the expenses and risks related to transport of the products sold, after they have been delivered. Upon receipt of the products, the customer must verify that the products delivered conform to the products ordered and that there are no apparent defects. If no complaint or reserve is expressed in this regard by the Buyer on the day of receipt of the products, said products will not be able to be either returned or exchanged, in application of the provisions of article 1642 of the Civil Code. In case of obvious defect or non-conformity of the products delivered with respect to the products ordered, pointed out by the Buyer on the day of receipt, the Seller agrees to replace the products delivered with new products that correspond identically to the order. The expenses generated by the return and delivery of new products are the exclusive responsibility of the Seller. 1 – Price – Unless there are express conditions specific to the sale, the prices of products sold are those mentioned in the price catalogue on the day of order placement. 2 – Payment terms – Unless there are other terms expressly stated in the special conditions, the price of sale is payable in cash upon receipt of the invoice, with deduction of a deposit of 50 %, to be calculated on the amount excluding VAT, or at 30 days end of month date of shipment of the merchandise, net and without deposit by bill of exchange. Under no circumstances can the payments owed to the Seller be suspended, reduced or offset in any manner without the prior written approval from the Seller. In the absence of payment by the due date, penalties equal to the half-yearly refinancing rate of the Central European Bank, in effect as of 1 January or 1 July, depending on the order date, increased by 10 points, will be applied starting from the day following the payment date stated on the invoice, or else, on the 31st day following the date of receipt of the merchandise or of the end of execution of the services. In application of article D. 441-5 of the Code of Commerce, in case of late payment, the debtor shall owe the creditor, in addition to late penalties, already specified by the law, a set indemnity for collection in the amount of 40 euros. All payments made to the Seller are applied to amounts due, regardless of the cause, starting by those which date back the furthest. The absence of payment of an invoice by its due date authorises the Seller, without the necessity of prior formal notice, to consider said order as cancelled or to suspend shipments, and results in the right to terminate the contractual relationship. Billing – Upon receipt of the order, the Seller will establish an invoice in duplicate, one of which will be sent on the same day to the Buyer. The Seller retains ownership of the products until full and effective payment of the price by the Buyer. In case of the absence of payment by the due date, the Seller will be able to reclaim the products and cancel the sale, as indicated above. Cheques and bills of exchange are not considered as payment until they have been effectively cashed. These provisions do not pose an obstacle to transfer of the risks related to the products sold upon delivery. Until full settlement of the price, the Buyer agrees to neither transform nor incorporate the Products, nor resell them or use them as collateral, under penalty of immediate reclamation of the products by the Seller. Products sold are covered by the legal guarantee for hidden defects, as intended under article 1641 of the Civil Code. Any disagreement relative to interpretation and execution of product sales shall come under the exclusive jurisdiction of the Commerce Court of Paris.